Kei and I finally got the keys to our starter home! Along with it came a bunch of paper called the lease contract. Absolutely thrilled with our new place but not too thrilled about the contract. 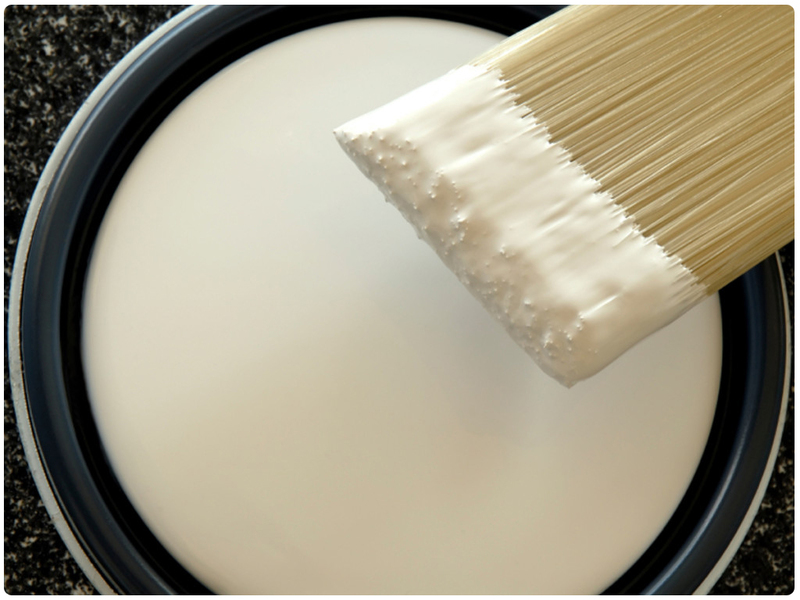 Because one of its rules is the color of the walls cannot be changed. And we already broke that rule. We had all the green walls painted white. (as a base in preparation to painting it with color) As agreed upon with the building admin, so we thought it was okay. Aparrently the lessor was not happy. He got the whole place fengshui-ed before and the place must be green. Since we already had the place painted white, we were asked to keep it the same way. 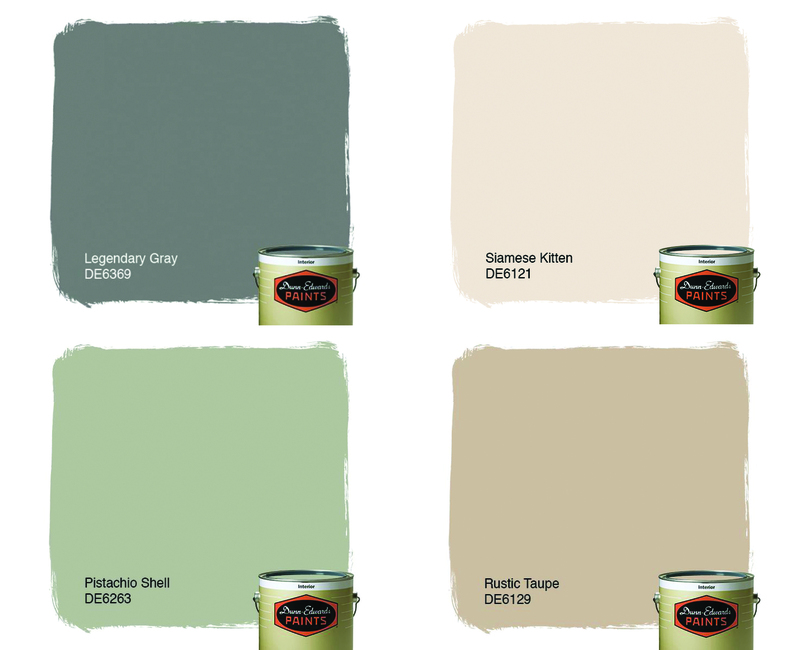 After all the hours staring at paint swatches? throws them like confetti! White?! But we have to make it work. So, I go look for inspirations. Our living room will probably look a bit like this. Only tiny-er. 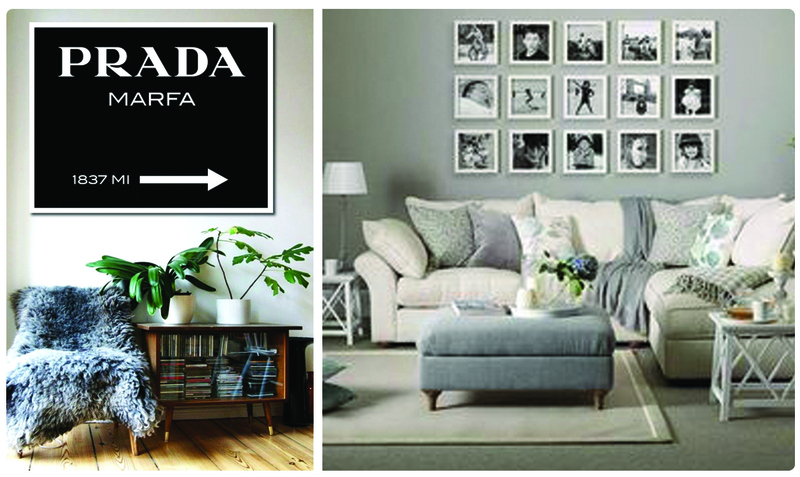 *If you know the back story of the PRADA Marfa print. It actually fits what I feel right now. Taken from Wikipedia: PRADA Marfa is a permanently installed sculpture by artists Elmgreen and Dragset, situated 1.4 miles (2.3 km) northwest of Valentine, Texas, just off U.S. Highway 90(US 90), and about 26 miles (42 km) northwest of the city of Marfa. The sculpture is still there. 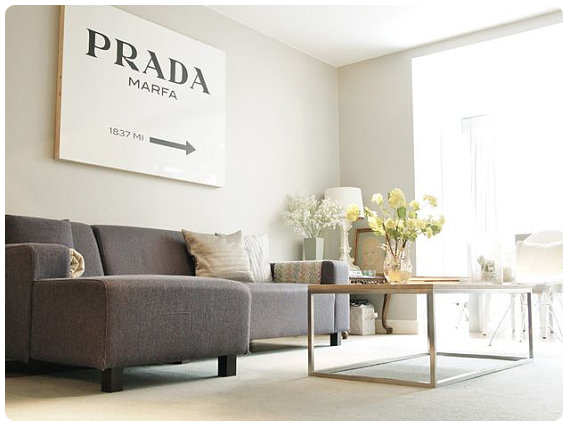 The Prada Marfa poster is the road sign that tells you the store is 1837 miles ahead. And this black version looks stylish. I might consider getting that one, provided that Kei approves. Or maybe place a photo collage just like the one in the photo? For the kitchen this looks neat. 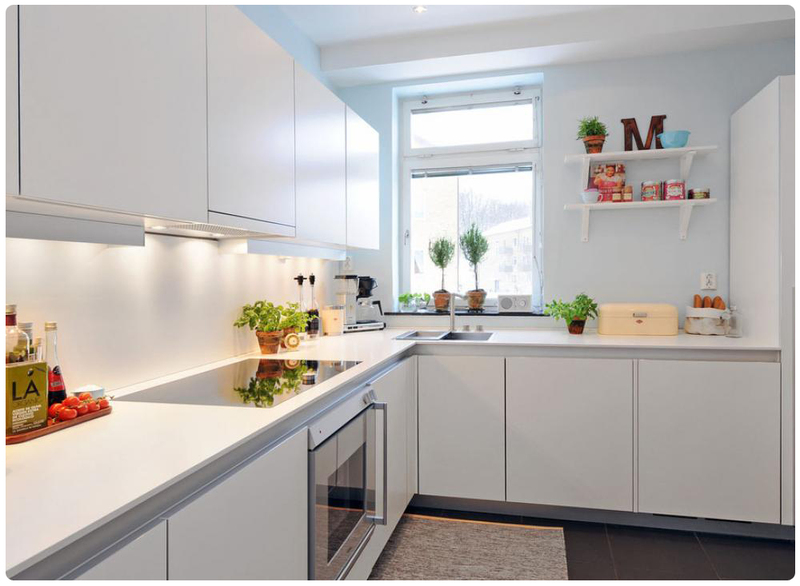 We also have a tiny kitchen window like this one, the only difference is the range is the one near the window. Again ours is a smaller than the photo we are looking at. So maybe a combination of these can be of use? And for the dining area, the challenge we face is that we have no windows there. Most of what I found on the internet uses mirrors to create the illusion of a window. This could be an option for us. 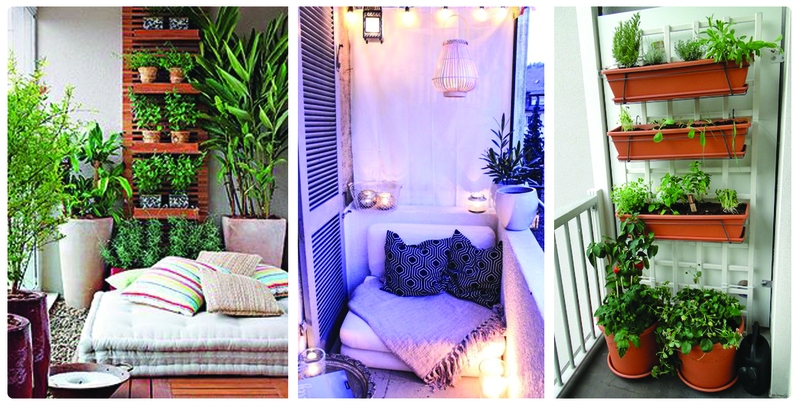 What makes everything better is the tiny somewhat enclosed balcony/patio in our starter home. Right now it has a lot of not so friendly poop machine pigeons. So, we plan to get the space enclosed with a roof to keep the pigeons away. The area must house a tiny vertical garden, hopefully a bench and my pet bunny. Just add the bunny cage and it will be ok.
As for the yucky green bathroom, I would have to leave it be. As if I can do anything about it?! Will just place lots of happy accent pieces to distract myself. 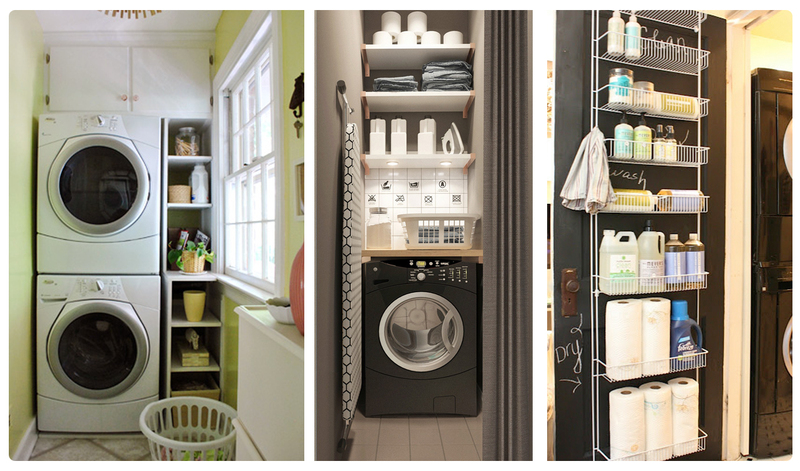 The really tiny laundry room behind the kitchen could be utilized into something compact and organized like this. The space we have looks a lot like the extreme left photo, as it has a window on the side. 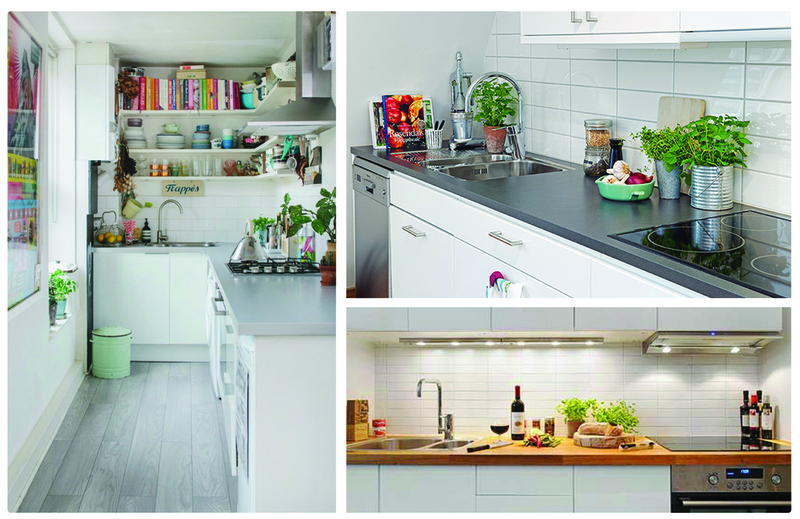 Middle and right photo is what I am aiming for in the space. As for the bedroom, we still have to look for a bed. After all the hassle/s we have been through to get a space and call it our own. I found this (quote) to be true. Categories: animals, home, life, Uncategorized | Tags: Anna and the French Kiss, home, inspirations, nowhere, Philippines, PRADA Marfa, starter home, Stephanie Perkins, white paint | Permalink. You can always find strands of hair in my comb. Same goes for my towels, pillows, bags, scrunchie and many more on the floor. I shed hair like crazy. Even more so now, that I am growing my hair to below-the-shoulder-close-to-waist length. I never paid much attention to it but I have decided to make a hair experiment. I collected my hair fall for a day. 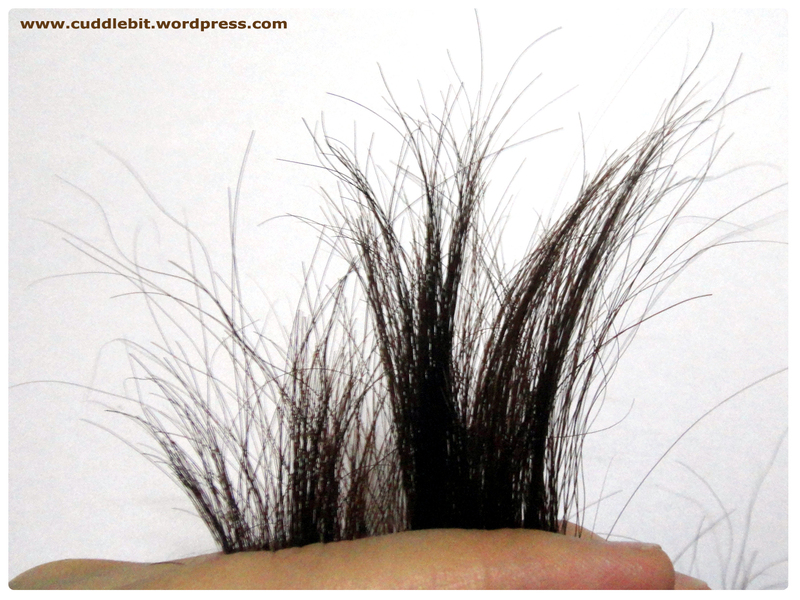 And actually counted each strand of hair! 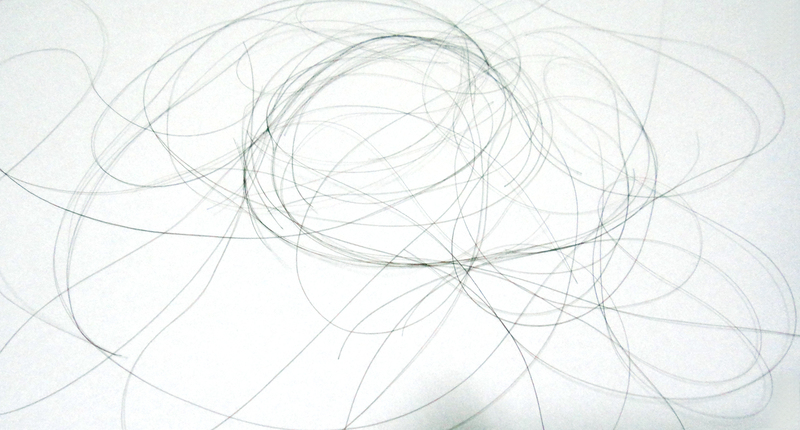 Here I am showing you a picture of my hair fall after combing my hair. really sorry about the picture quality. I tried my darn best. Take a look at my fallen hair. Yikes. Intentionally took a picture of them against white background so that I can show you guys just how much hair fall I am talking about. Again I have long hair. And I wear my scrunchie daily-it is almost glued to my head. So, I used this as my cue to go and try the new and improved L’oreal Fall Resist 3x anti hair fall shampoo & conditioner. Really loving the sleek packaging. The shampoo smells yummy fruity! Lathers nicely and I love that the fragrance stays on the hair for a few hours and keeps my hair smelling fresh. –This is a huge plus for a city dweller dealing with the heat of tropical weather! 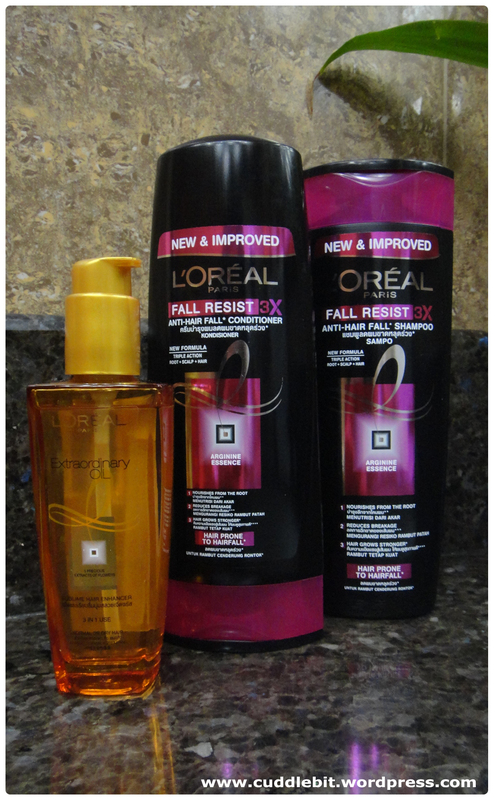 Along with the shampoo I also used L’oreal Fall Resist 3x Conditioner. It helps make my hair smooth and tangle free. *If you can remember I rarely use conditioner because of my skin (breakout) issues, I used a very tiny amount of conditioner every other day. So example I used shampoo and conditioner today, tomorrow, I will be using shampoo only. The next day it is back to shampoo and conditioner. So I gave it a try. 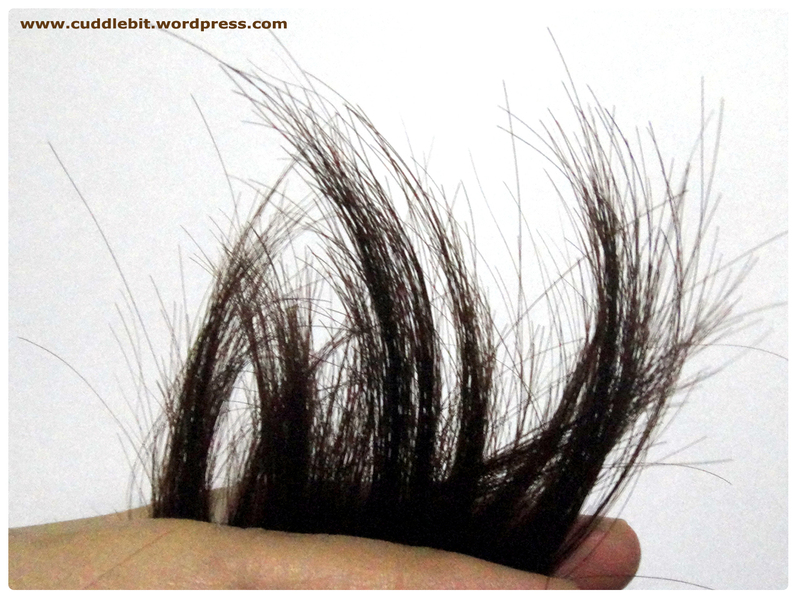 After a week, let us check on my hair fall count after combing my hair again. Again, I took a photo so that I can show you guys my hair fall clearly. I don’t even need to count. Photo is proof that it does work! 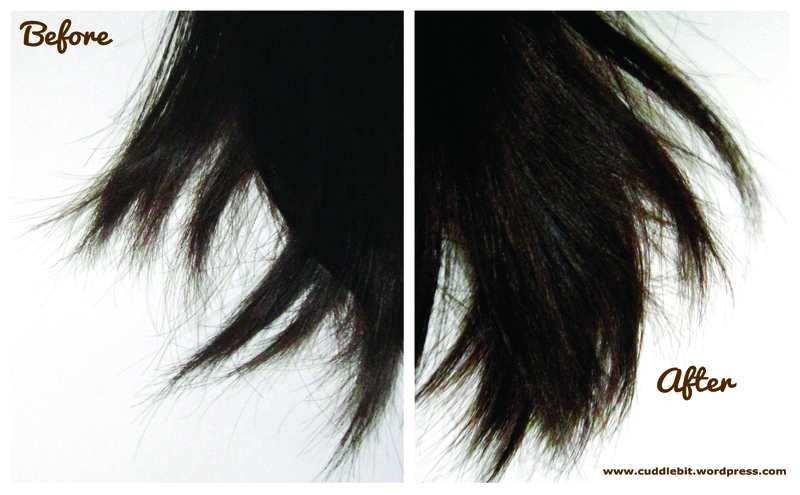 Reduction in hair-fall after using L’oreal Fall Resist 3x shampoo & conditioner! May I also add that my comb glides through smoothly on my hair now?! No tangles! Did they live up to their promise? Yes! 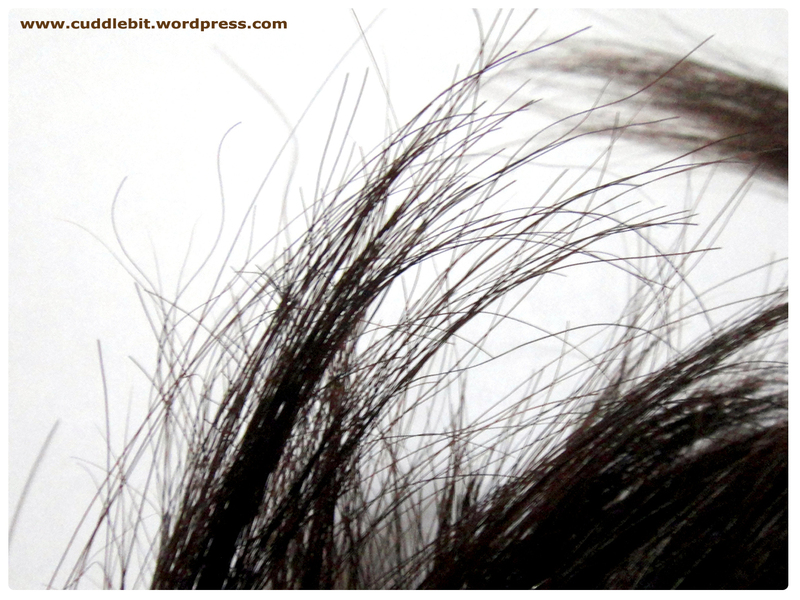 Noticeable reduction in hair fall after a few washes. I definitely recommend this shampoo to those dealing with hair fall and dry hair. The only con is it has silicone and SLS. Now that I got my falling strands covered. I also have to deal with my dry and frizzy ends. Yep, the look of my dry brittle and usually tangled ends. 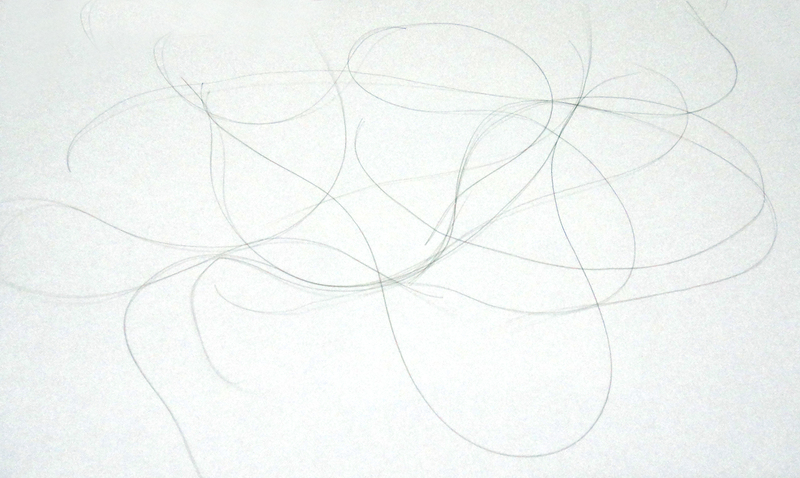 Again I tried my best to photograph it in white to show the strands clearly. 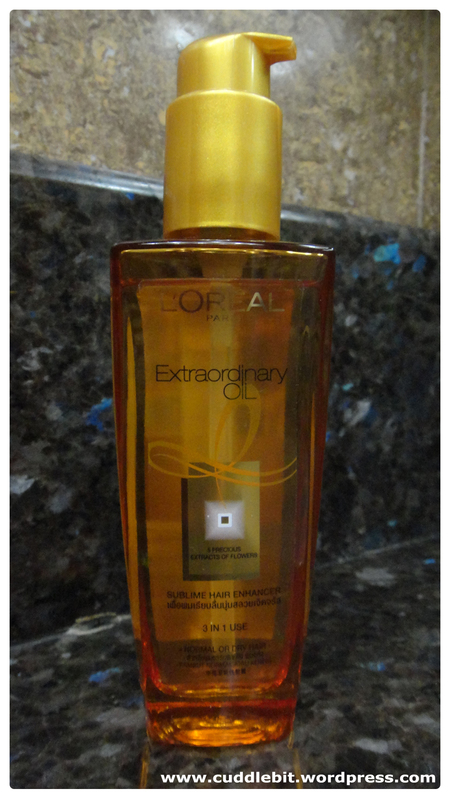 This time, it is L’oreal Extraordinary Oil sublime hair enhancer to step up to the challenge. 3in1 use- Apply 3 or four drops before shampoo, before drying or on dry hair as a finishing touch. But what really got my attention is the bottle itself. (I am a sucker for packaging.) Just look at the classy gold glass pump bottle! love love love the packaging! A pretty addition to any dresser. The pump on the bottle comes with a “lock” system that makes it easy for me to carry around on my bag without worry of product spillage. Real smart. I tried this hair oil thinking that this is just some fancy hair shine, but I am happy to report that it worked really well with my dry and damaged hair. 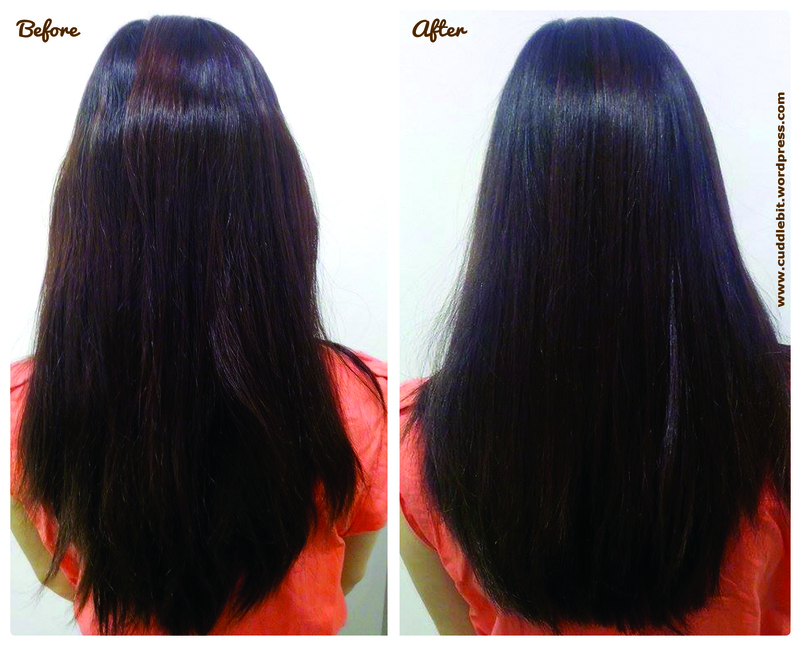 It added nourishment/moisture, reduced the frizziness and as expected, added shine. It also has a very nice elegant scent! The pump is really easy to use. I used 4 pumps and that’s it. I use it after I toweled dry my hair. it does wonders to help the frizziness on the ends of my hair! Did the product work? A big fat YES! It tamed my “buhag-hag” hair (disheveled) caused by dryness. the photo does not do it justice. But my hair definitely feels better. I’d say it works nicely for colored hair and also all types of hair. 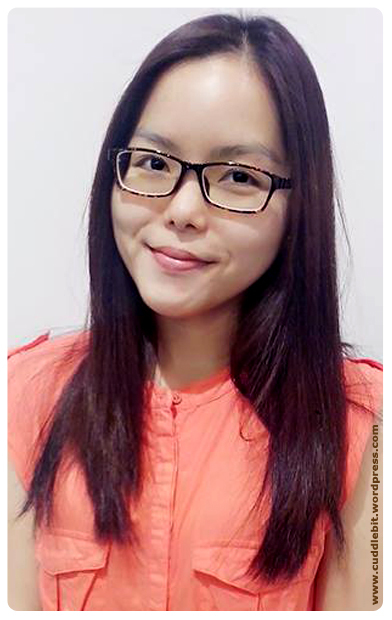 It gave my hair a naturally healthy look that did not look greasy! I also got compliments from people about my “new scent”, they thought I sprayed on perfume! Worth buying? YES! This product is holy grail status. I also love its scent very much. side by side comparison both taken in a day. On the Before photo: early morning I did my usual morning routine, towel dry my hair, wait for it to dry and use my scrunchie to tie it up into a ponytail (so, please disregard the bent caused by my scrunchie). My hair looks like that on a normal day. A-akalain mo bang buhag-hag yan kanina?! (would you believe that just a while ago it looked disheveled?! A really sleek and polished look! Hello Good hair day! loreal extraordinary oil+blow dry = Sleek and shiny! buhag-hag (disheveled) hair no more! I am confident enough to let my hair down now. Good hair day guaranteed with these three products! Without going to the salon! *Price? 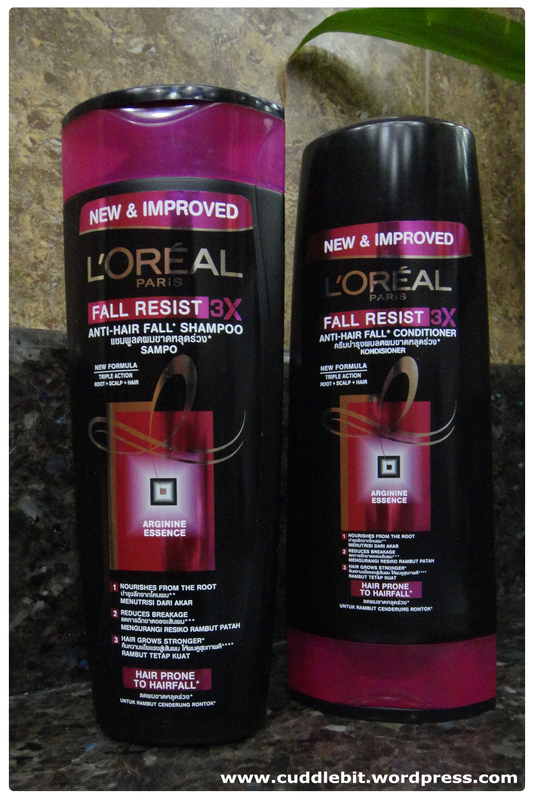 L’oreal Fall Resist 3x shampoo & conditioner goes for 219php. L’oreal Extraordinary Oil is priced at 550php. **All my reviews, opinions, and other stuff expressed here are my own and based on my own experience with the product. 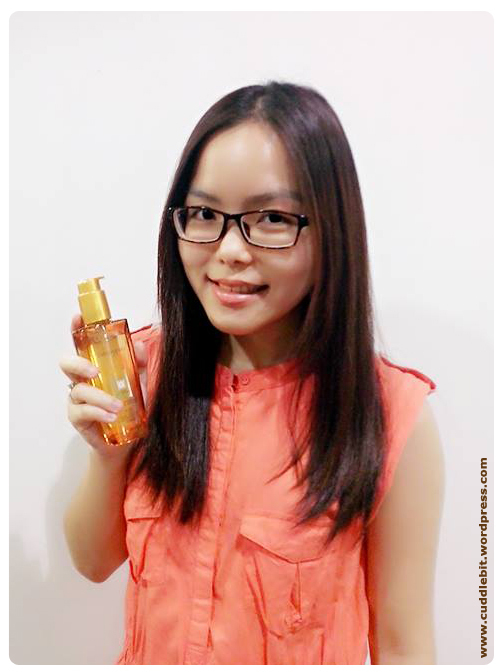 The product was given to me by L’OrealParisPhilippines for trial. Categories: beauty, reviews | Tags: Conditioner, dry hair, Extraordinary Oil, Fall Resist 3x, frizzy, hair fall, L’oreal, L’oreal Extraordinary Oil, loreal philippines, Philippines, shampoo | Permalink. I waited patiently as the dentist plucked each bracket on my teeth. After what feels like 30 mins (its only 5 mins in real life) my braces are gone – for the second time around! I had a relapse so I got braces twice. After three long years of being a metal mouth (the second time around braces)… ahhh this feels divine! Can smile my Cheshire cat grin* now. *smiling with all of my teeth showing. I run my tongue over the smooth surface of my teeth. And again, and again. Till it is time to get the cast* of my teeth. *Those plaster replicas that are meant to be of help in creating the retainers. So, because I am so proud and euphoric of my new found freedom… I am posting a before and after cast of my teeth. The ochre is the before, the green is the after. The front tooth was chipped when the cast was given to me, must have been dropped or something… but looking at it gives you the idea of the improvement my teeth had. Now that I am free from braces. Let the prenup shoot begin! Categories: beauty, body, life | Tags: braces, cast, cheshire cat, grin. metal mouth, relapse, retainers | Permalink.